Mr Kipling would have serious competition if he were to come to Vienna. Cake making is an art form and some of the cakes appear as masterpieces, almost too pretty to eat; almost. 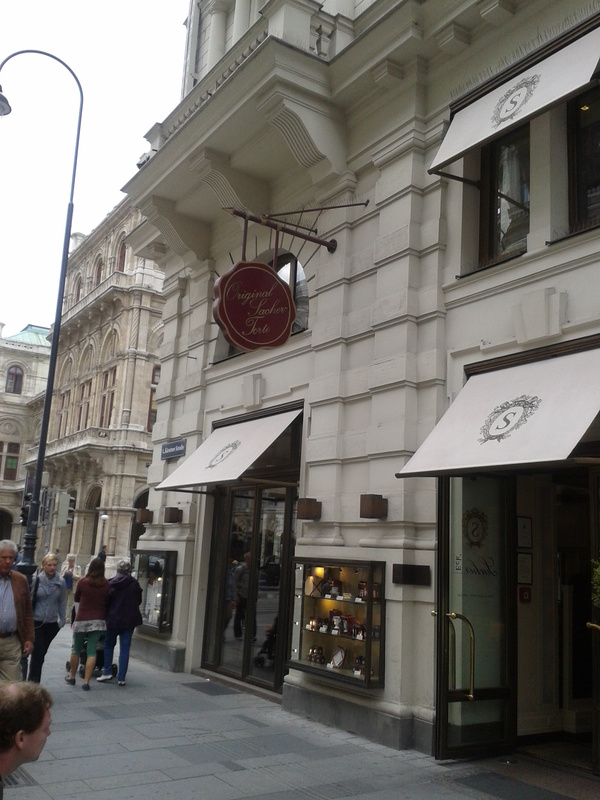 The first cake to talk about has to be the Sacher torte, so named after the Sacher Hotel where it was invented. The hotel, still open today, does a roaring trade to tourists stopping off for a coffee and a slice of the famous cake. It’s ok. It grows on you. It’s not an ordinary chocolate cake. It has a layer of jam running through it and at first, I found it weird that anyone would want to taint chocolate cake with any kind of jam, let alone apricot. Apricot and chocolate do not go together, but the Austrians just love their apricot jam. The thick, rich chocolate icing layer was, however, just to my taste, so after having had it a number of times, I can truly say I love a bit of Sacher Torte every now and again. 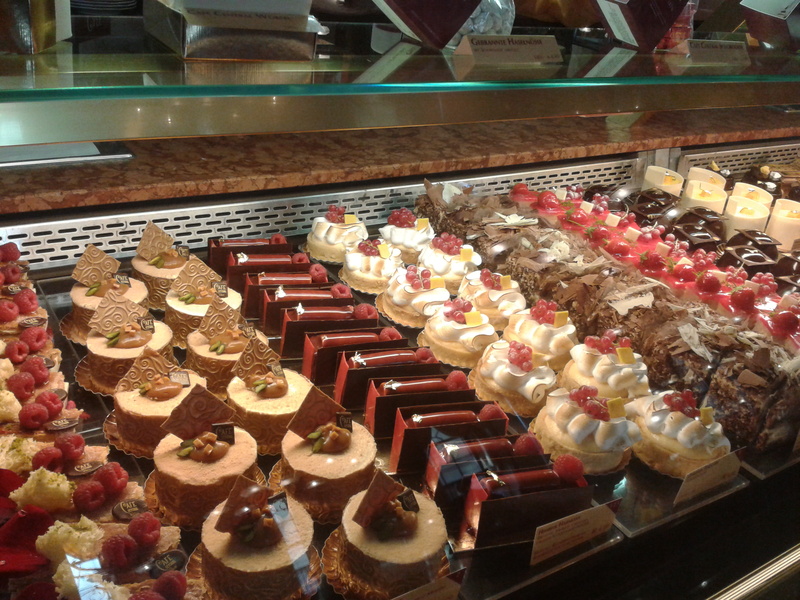 I think the winner, hands down, for making cakes has to be Café Central. There are queues outside most days and rightly so and not just because it is famous for having had the likes of Freud regularly enjoy a cup of coffee there in its past; it also does brilliant cakes. The cakes are themed according to the season and according to local famous artists. There are some cakes dedicated to Gustav Klimt, the Viennese artist, famous for works like The Kiss, or Der Kuss. 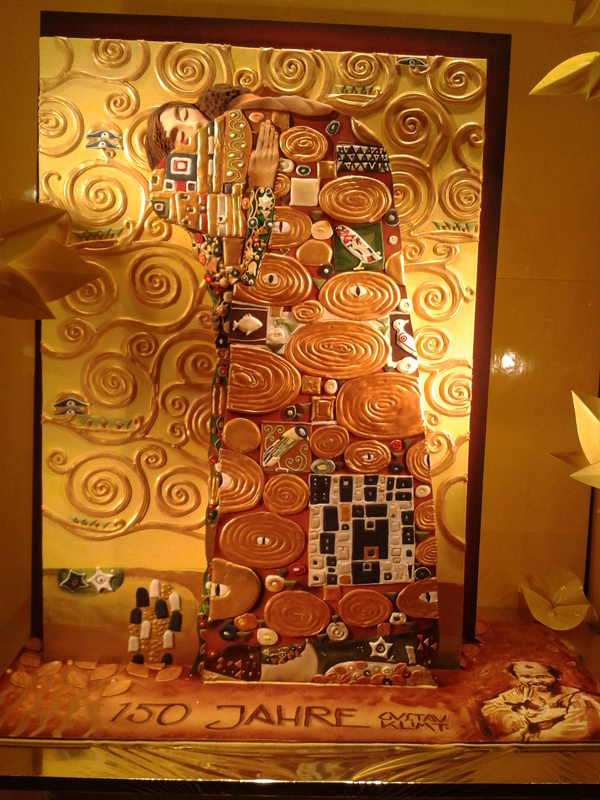 In fact, outside another well-known cake shop the other night, I found a huge, of what I assume to be gingerbread, sweet recreation of Klimt’s most famous work. Showing that art is well and truly alive in Vienna, and edible art at that.